Our flexibility helps our clients, first-time shippers to regular exporters of freight, to experience a different approach where they get comprehensive yet a personal solution for their need. The expertise of our export specialist's allows you to enjoy tailored schedule flights and chartered planes from a wide range of carriers. Because we move so many of freight shipments per day, we’re able to negotiate competitive air freight rates with domestic or international freight carriers. 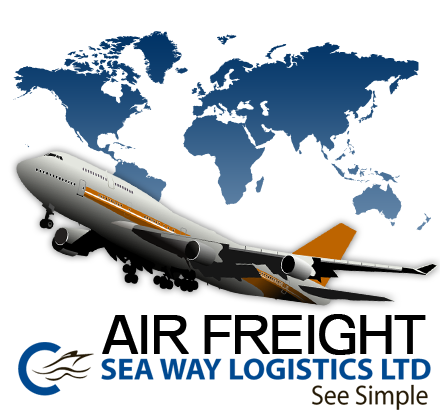 Our marvelous air freight quote tool gives us the opportunity to compete and serve you best. Seaway Logistics Ltd is your full-service freight shipping company. When you need it there fast, choose Seaway Logistics Ltd's air freight shipping option. We make it simple. Because we move so many of freight shipments per day, we’re able to negotiate competitive air freight rates with domestic or international freight carriers. Our marvelous air freight quote tool gives us the opportunity to compete and serve you best. Seaway Logistics Ltd is your full-service freight shipping company. When you need it there fast, choose Seaway Logistics Ltd's air freight shipping option.